Join the quest to obtain overwhelming Dueling power with Yu-Gi-Oh! 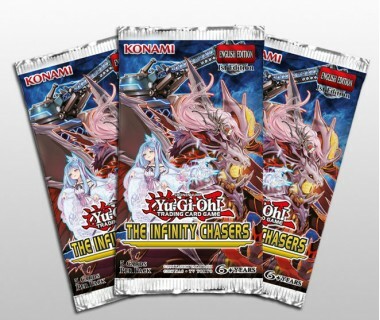 TRADING CARD GAME The Infinity Chasers, Winter 2019’s 60-card, all-foil booster set! 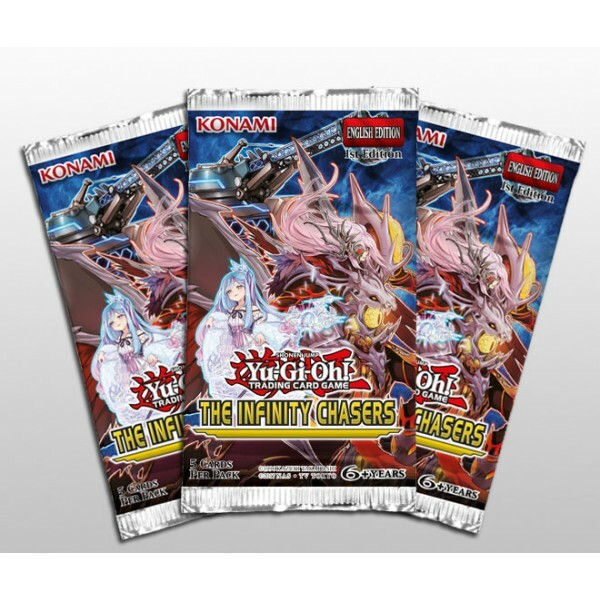 Duelists looking to pick up a new strategy should look no further, as Yu-Gi-Oh! TRADING CARD GAME The Infinity Chasers introduces 3 new strategies with their own unique gameplay styles. Here’s a brief overview of what you can find! Servants of the forbidden evil eye clash beneath the pale moon! These terrifying combatants and their familiars draw their power from a source of unfathomable evil that threatens to consume them at any moment. Evil Eye of Selene is an Equip Spell that grants “Evil Eye” monsters wicked power and protection. Serziel, Watcher of the Evil Eye can search any other “Evil Eye” card including Evil Eye of Selene, and once equipped, can target a Special Summoned monster and destroy it during either player’s turn! Even if your opponent manages to destroy the Evil Eye, it can always come back. This strategy employs an unusual style of play that’s highly rewarding but requires you to conform to a specific gameplay condition, similar to the Sky Strikers of Yu-Gi-Oh! TRADING CARD GAME Dark Saviors.